Online store builders are often available as part of an ecommerce web hosting package. These web hosting packages include all the basic building blocks you need to create your online store. They range in price from just a few dollars a month to thirty dollars or more, depending on what they offer. Yahoo! Small business is one web hosting company that offers online store builders. Online store building software is also available as a separate software packages. Many of these are ecommerce shopping cart programs that also help you to develop your online store, such as Fortune3 or Zen Cart. Fortune3 is a commercial software program that sells for a little under $500, while Zen Cart is a free, open source software program. Commercial and open source software both have advantages and disadvantages. Commercial software packages must be purchased, but often offer better customer support and may be more user friendly. Open source software is free, and help is often available in online forums, but users may need to have some experience with online software to use the programs. Web site owners who use an online store building software program separate from their web hosting plan should check to be certain that their store building software is compatible with their web hosting plan. Getting separate software packages and getting them to work with a web hosting plan is sometimes complex. First time web site managers might have less frustration with online store builders that are bundled with ecommerce web hosting plans. 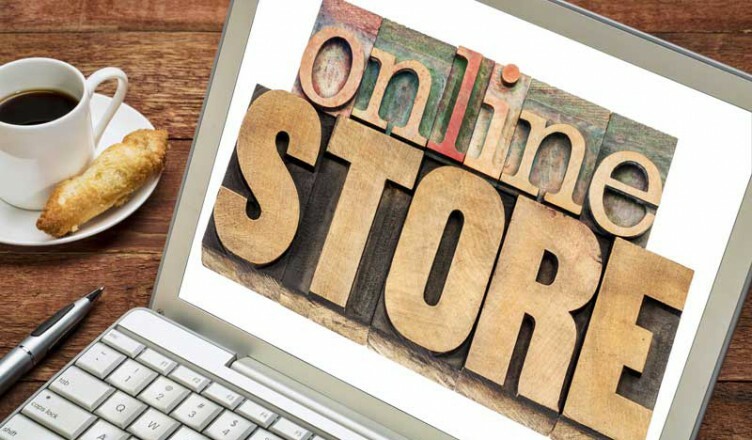 One of the biggest advantages of online store builders is that they generally help you perform these functions without a knowledge of programming languages. Domain name registration, SSL security certificates, and merchant accounts are available with some ecommerce web hosting plans, but are generally not available through online store builder software packages. If these features are not part of your web hosting plan you will need to get them separately. Before you get an online store builder, consider what you already have and what you need. For instance, if you have already used a web page creation program to make your web pages, you won’t need templates for web page creation. If you already have a web host picked out, make sure that your online store builder is compatible with it, and find out what your web hosts offers before you get something you may not need.